If dissecting the Printing numbers by culling out the S-Print contributions wasn’t complicated enough, HP added a new wrinkle in YOY Supplies and Hardware revenue comparisons: For FY 2018, HP implemented an organizational and business unit financial reporting change that essentially re-classified revenues from a portion of Long Life Consumables (fusers and maintenance kits) from Commercial Hardware to Supplies. These items really are consumables and probably should have been included in the Supplies revenue line all along so this change makes sense. As a result, the Supplies revenue line for Q1 18 includes these supplies. Further, the company re-stated its full earnings reports for FY 2017 and FY 2016, showing the revenue reductions to Commercial Hardware and the additions to Supplies. On average, the additional revenues amount to under 1 percent of Supplies reported revenues in those periods, although the dollar amounts added to Supplies don’t equal the dollar amounts deducted from Commercial Hardware – they are less. The net effect is to make Commercial Hardware revenues look lower for Q1 of 18 and the last eight fiscal quarters, while increasing Supplies performance. The change does not affect reported earnings for any period involved. Positive factors: growth in Indigo, wide-format, new A3 sales, new PageWide sales, higher performance laser models in HP’s lineup, increased color laser shipments, increased sales of add-on options for higher performance models. Negative factors: overall market price erosion in both laser and inkjet, declining unit shipments in several model segments, any new purchase shift from laser to equivalent or comparable inkjet models. The lack of any meaningful growth in Supplies revenues, over a two-year period, even with the added revenue boost from long-life consumables, is a stunner, especially considering the company has repeatedly stressed its emphasis on NPV (Net Positive Value) unit placements. HP took a $400 million revenue hit in FY 16 to buy back dead Supplies stocks from its distribution channels and said it expected the Supplies revenue line to recover over the course of FY 17 – and the quarterly numbers do distinctly illustrate that. However, the weak two-year growth record since Q1 FY 16 can’t be ignored – it is obviously not encouraging and doesn’t match the company’s language about its Q1 achievements. It is likely that without the classification of long-life consumables from Commercial Hardware to Supplies (a bit less than 1 percent), Supplies would have posted a negative CAGR. Uh-oh. 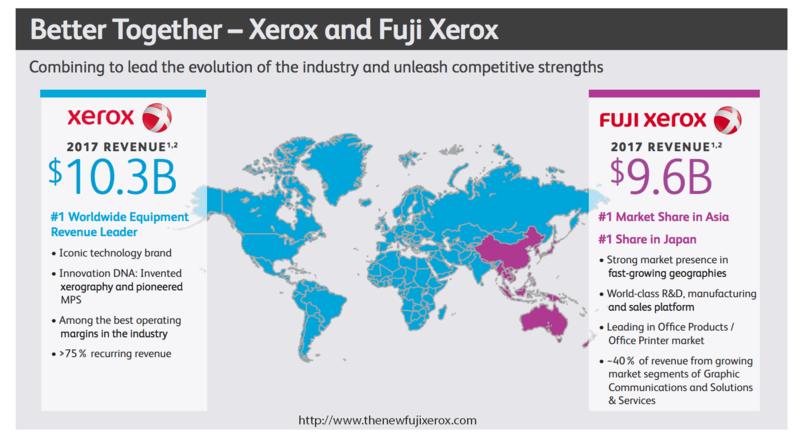 Positive factors: growth in color laser page volume, growth in wide-format and Indigo page volumes, new A3 model supplies sales, proprietary Sprocket supplies sales (with no effective competition), gains in supplies share versus the aftermarket (HP has suggested this over the last several years), and HP’s continued pronouncements about the success of Instant ink subscriptions. Negative factors: overall declining page volumes, overall market price erosion in laser and A3 CPPs, declining unit installed base in several model segments, decline in consumer printing, any printed page shift from laser to equivalent or comparable HP inkjet models – which almost always have lower CPPs for color but not monochrome — weakness in page volumes in non-U.S. markets, or, losses in overall supplies market share versus the aftermarket. 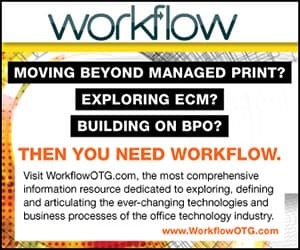 Of course, these revenue reporting times cover a period of fairly strong economic growth in the U.S. economy, and page volumes, in B2B environments, have always been driven – to some extent – by the number of overall transactions, which have no doubt increased significantly during the two-year period examined. As we noted, upon examination, HP’s zest in announcing its Q1 results is understandable in several areas. However, organic Supplies revenues, a decades-long profit engine that supported the company’s other groups when they stumbled, appears mired in a slump despite a much more aggressive HP stance in protecting its supplies IP against the aftermarket. It should come as no surprise that partner Canon has filed a slew of lawsuits against the aftermarket concerning laser supplies IP. Will Supplies jump back to even modest growth by the end of FY 2018? serves as a senior analyst for BPO Media. 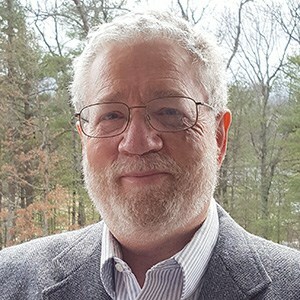 With more than 40 years of experience in the printing industry as an analyst, product developer, strategist, marketer, and researcher, he has covered the printing and supplies sectors for prominent market research firms such as Lyra Research, InfoTrends, and BIS Strategic Decisions, and served with major OEMs such as Samsung, NEC, and Diablo Systems/Xerox. McIntyre is the former managing editor of Lyra’s Hard Copy Supplies Journal and has conducted research and consulting engagements examining issues such as market and business strategies, product positioning, distribution channels, supplies marketing, and the impact of emerging technologies.